The new Xbox 360 4GB console has built-in wi-fi, a black wireless controller, a standard definition composite A/V cable, and comes with a free one-month Xbox LIVE Gold Membership. Here today, ready for tomorrow with a brand new, leaner machine. Wi-fi is built in for easier connection to the world of entertainment on Xbox LIVE, where HD movies and TV stream in an instant. It’s ready for the controller-free experiences of Kinect – you don’t just play the game, you are the game. Xbox 360 is more games, entertainment, and fun. Xbox 360 E Console: The new console is sleeker and quieter with a stylish design that will be the centerpiece of your home entertainment system. Xbox 360 4GB Hard Drive: The internal 4GB hard drive allows you to save your games and store television shows, movies, music, pictures, trailers, levels, demos, and more extras available from Xbox LIVE Marketplace. Kinect Ready: Kinect makes you the controller. With a dedicated, specialized port, the Xbox 360 E 4GB is built to connect seamlessly with the Kinect sensor and have you up off the couch and into the world of Kinect in no time. Xbox 360 Wireless Controller: This award-winning, high-performance wireless controller features the Xbox Guide Button for quick, in-game access to friends and music. It has a range of up to 30 feet and a battery life of 30 hours on two AA batteries. Xbox 360 Composite A/V cable: Use Xbox 360 on standard-definition televisions using this connection over traditional composite connectors. Play high-quality audio with the included stereo connector. Xbox LIVE: Xbox LIVE brings a whole world of entertainment possibility right to your Xbox 360. Play with friends online, and watch streaming movies and TV from Zune and Netflix, all in crystal-clear HD. Watch live sporting events and check out highlights from your favorite teams on ESPN. You’ll find loads of your favorite music from Last.fm and the ability to connect with friends on Facebook and Twitter, right on the best screen in the house. Q: What is this new console? A: We have redesigned the console to update the look to bring it in line with the Xbox family. With this updated design, we are aligning the Xbox 360 closer to the Xbox One’s look. Q: Is Xbox 360 E backward compatible? A: Yes. Xbox 360 E is backward compatible with all Xbox 360 original game titles. Most Xbox 360 Original accessories are also compatible. Q: Can I use my old power supply for the Xbox 360 S with the new Xbox 360 E or vice versa? A: No, because there is a change in the power supply configuration. That said, every new Xbox 360 comes with its own power supply. The new Xbox 360 appears stunning wherever it fits in your home and offers great performance fans have come to expect from the Xbox 360. 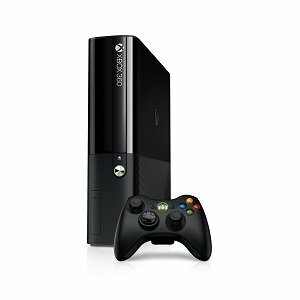 Xbox 360 is available in the same value-packed editions for the same great prices as the existing console.